Imagine if you will, a celebrity comes on TV. Not your worldwide, big movie celebrity, more TV hospital show celebrity. They come on TV, not wearing the traditional TV doctor suit, but wearing a very nice Aran knit sweater. People like the show, like the celebrity doctor, like the aran sweater… they want one, just like his. Now along comes the big posh designer label shop who made the sweater for TV doctor. They notice people like the sweater and make a load selling them for a couple hundred quid. The aran sweater is popular and keeps selling out. Imagine that there is a knitting shop in Ireland. I’m sure there are plenty of knitting shops in Ireland, this one though isn’t your acrylic £1 a ball specialist, it sells a wide variety of yarns, woollen, alpaca, bamboo. They also sell patterns written by local knitters. One particular knitting pattern is a traditional aran sweater and it starts to sell… fast. The shop realises the sudden demand is down to the TV doctor and decide to also cash in on the popularity. They put a kit together, pattern, yarn, and other bits to help you make your own aran sweater for under £50. Who owns the copyright for the sweater? You might think this scenario isn’t going to happen. An aran sweater can’t be copyrighted because it’s history goes so far back that no one knows the origins of the pattern. But a scenario almost like this happened recently. 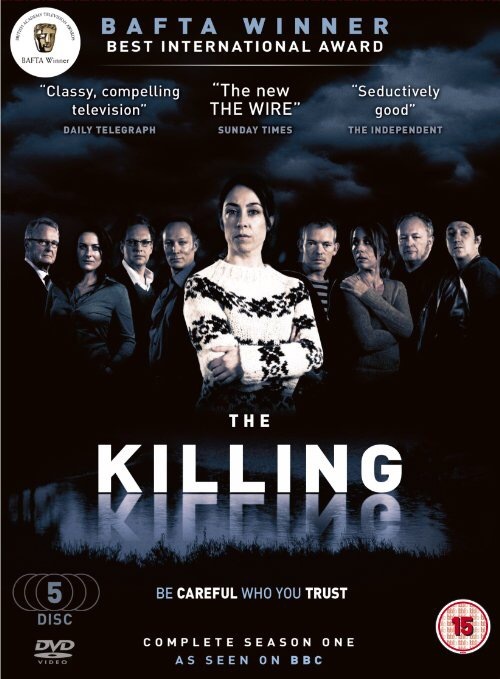 Danish TV series “The Killing” revolves around a detective, Sarah Lund. I won’t destroy the story to you, only say that Detective Inspector Lund spent the series wearing knitted jumpers, one particularly was a black and white jumper with a traditional Faroese star pattern. The star pattern is a traditional pattern from the Faroe Islands, but the company who made the jumper for the TV series is Gudrun & Gudrun (www.gudrungudrun.com). They took the traditional pattern, changed the pattern a little, and sell the jumpers for around €280 (about £207 or $312). You can see the star pattern on the collar and down the sides of the jumper. Gudrun & Gudrun have made changes to the pattern, making it larger and clearer, but the pattern is still identifiable. Along comes Stof og Sy, Fabric and Sewing (www.stofogsy.dk) a knitting shop in Denmark who wrote a pattern similar to the Gudrun jumper. 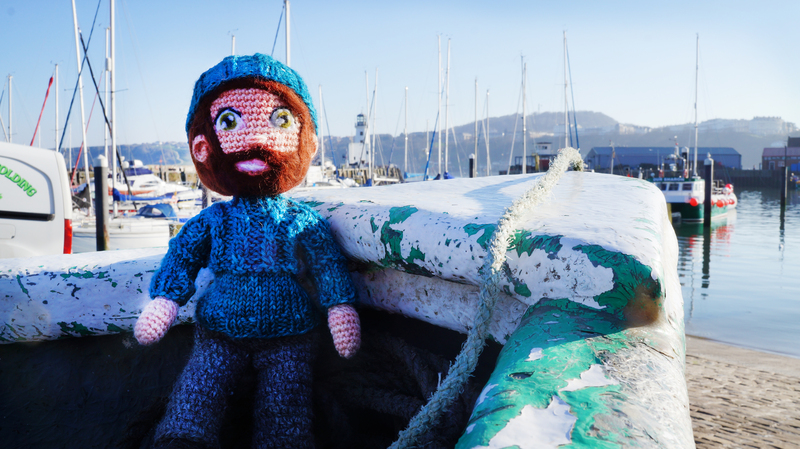 They start selling the pattern complete with traditional Faroe yarn for DKK 372 (£37 or $56). Now here’s the complicated question. Who owns the copyright to the jumper? You might think it doesn’t matter, but Gudrun & Gudrun took the knitting shop to court claiming it had infringed on their copyright. Stof og Sy argued that the pattern is a traditional pattern and hundreds of years old. The courts ruled that the pattern is indeed a traditional knit pattern, so Gudrun & Gudrun cannot claim to be the pattern owners. This has led to more companies making similar jumpers at low cost prices. Gudrun & Gudrun hand knit the jumpers using traditional oiled wool, which when thought about, isn’t a lot for a hand knitted jumper. It’s even led to a free version of one jumper from the TV series in Radio Times.